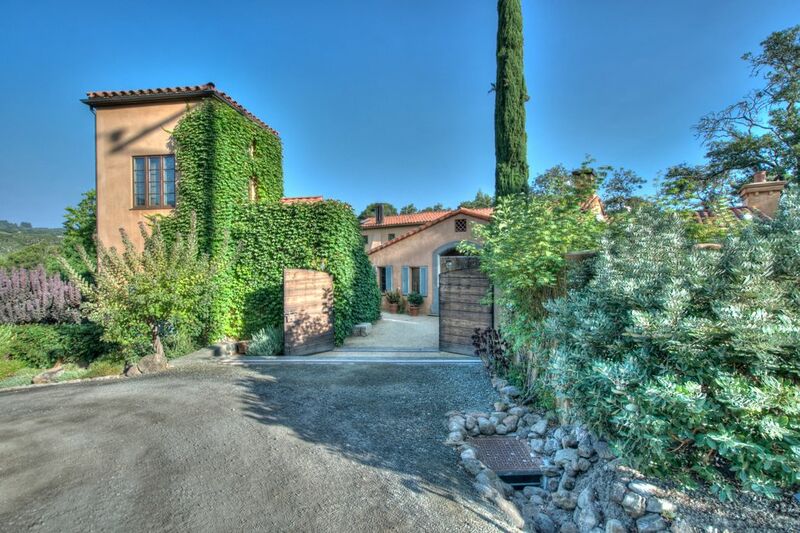 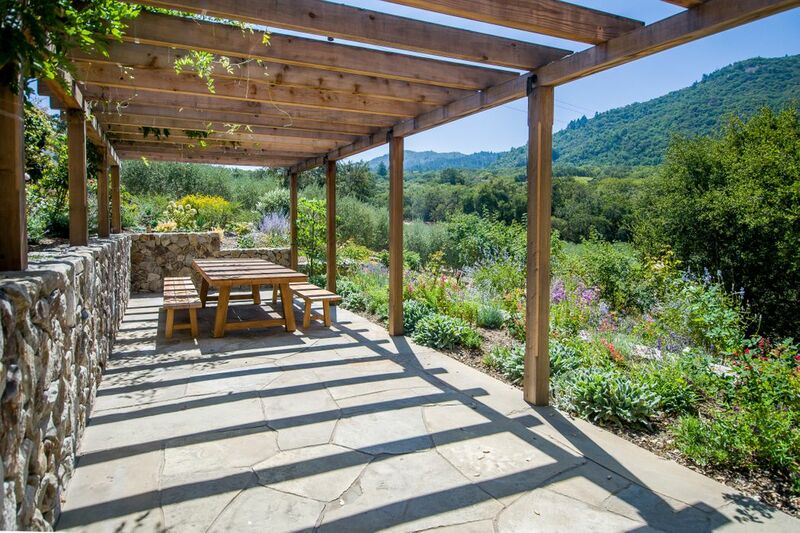 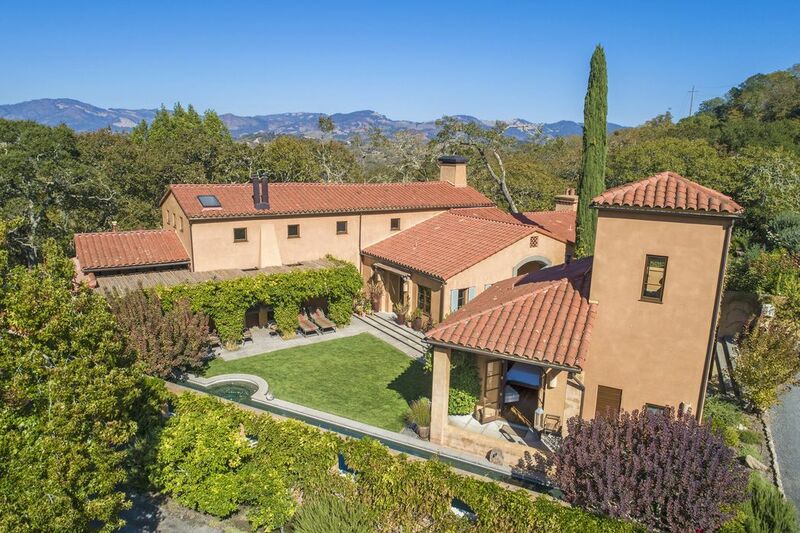 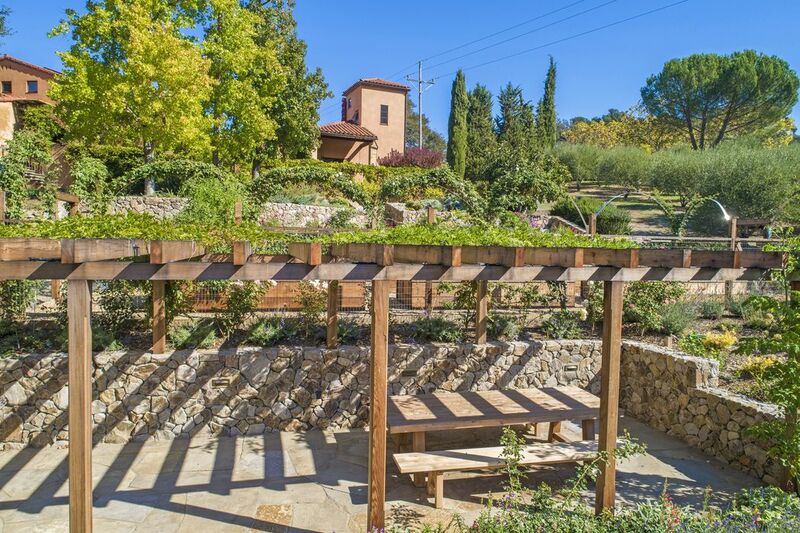 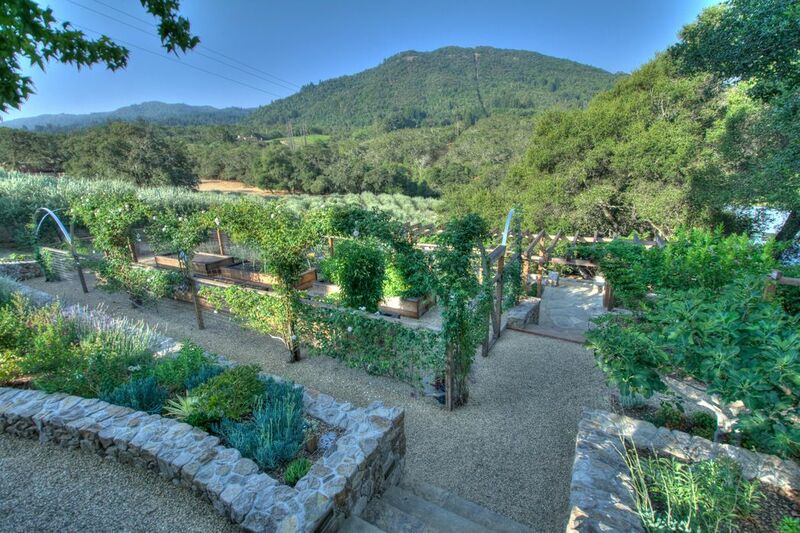 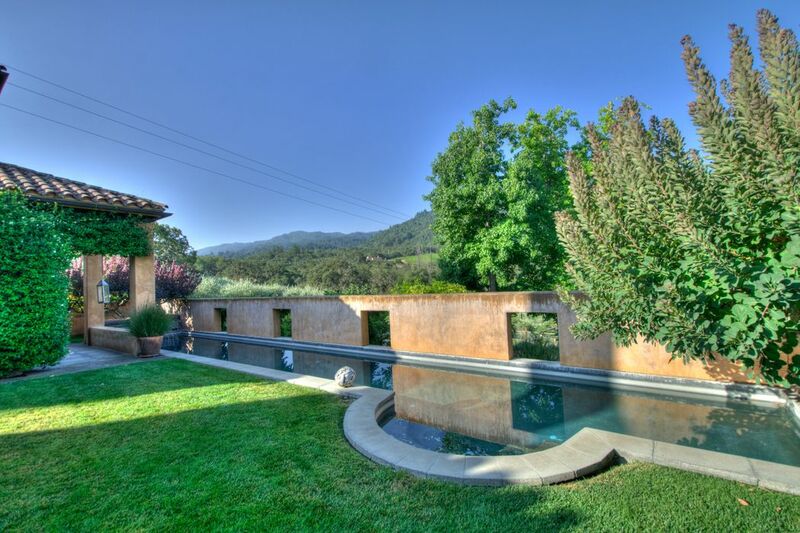 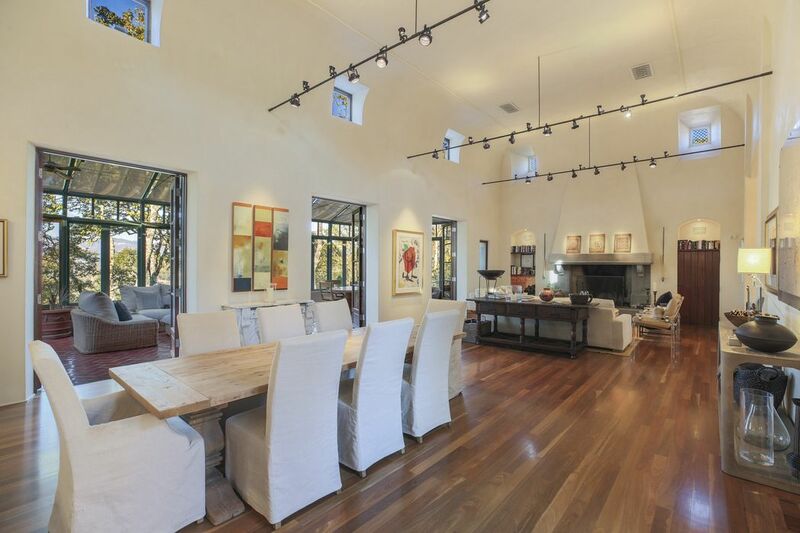 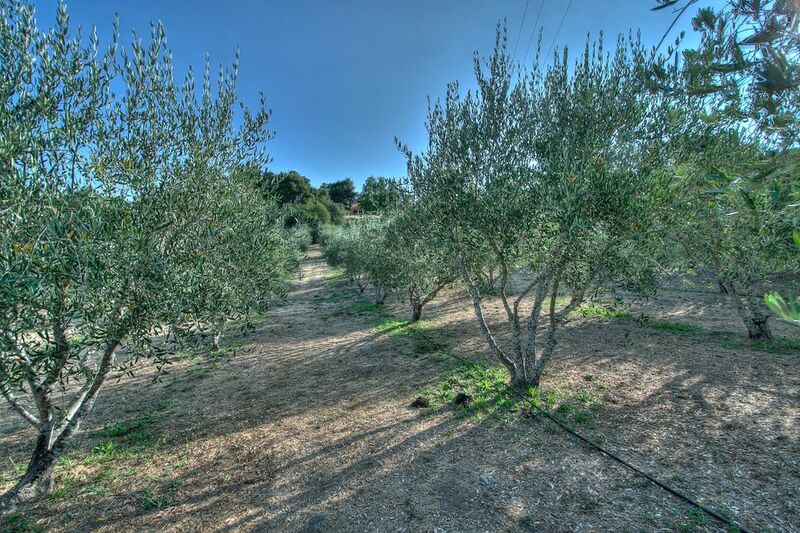 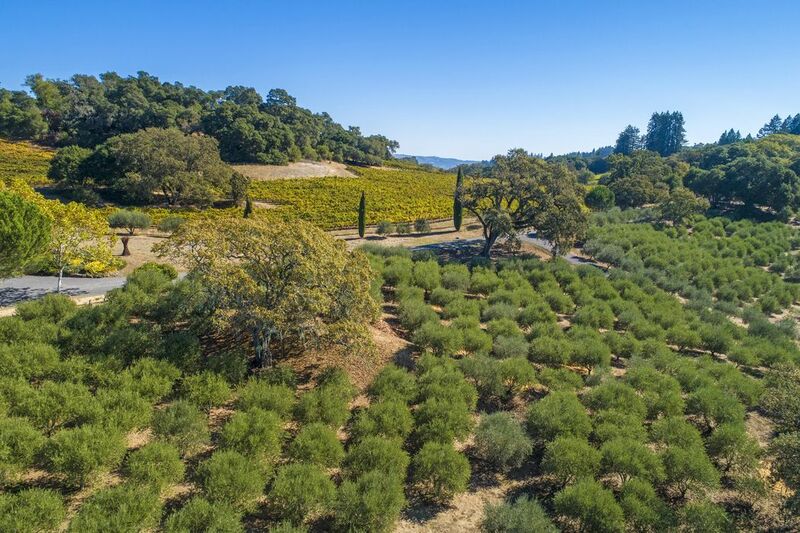 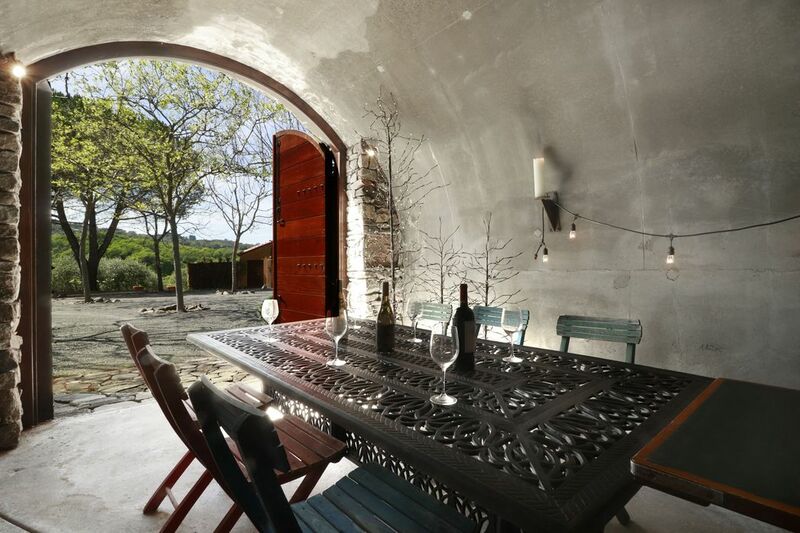 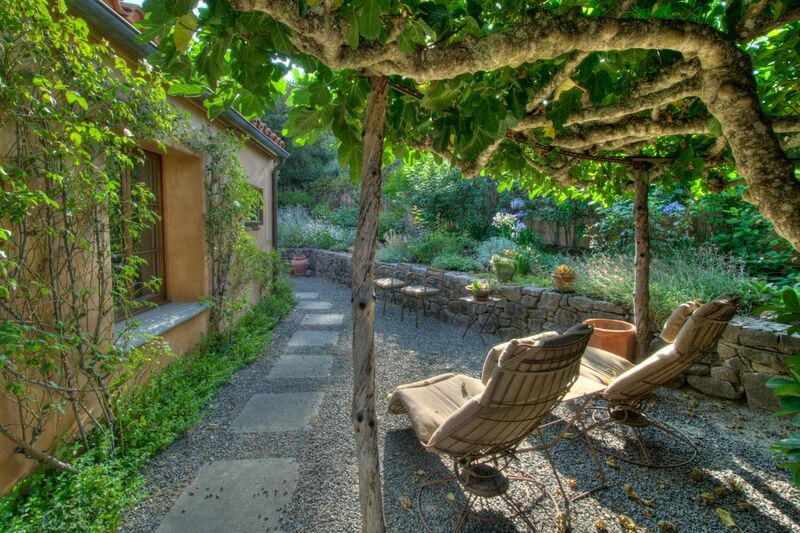 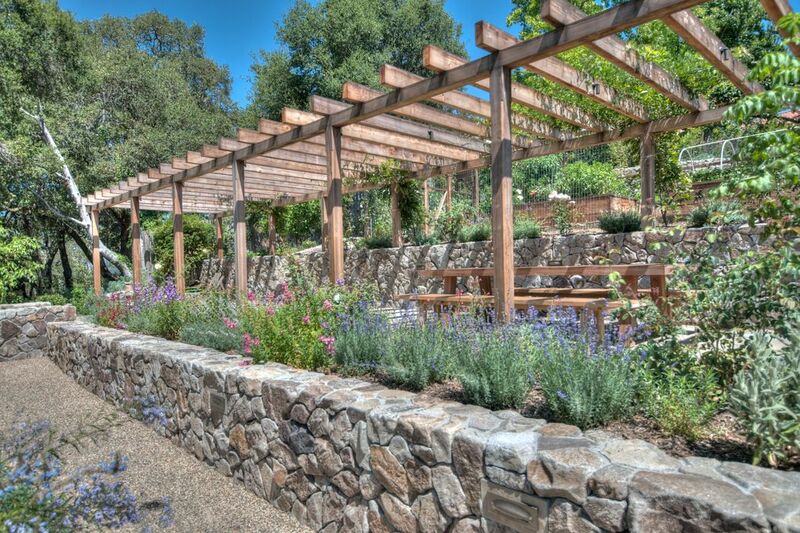 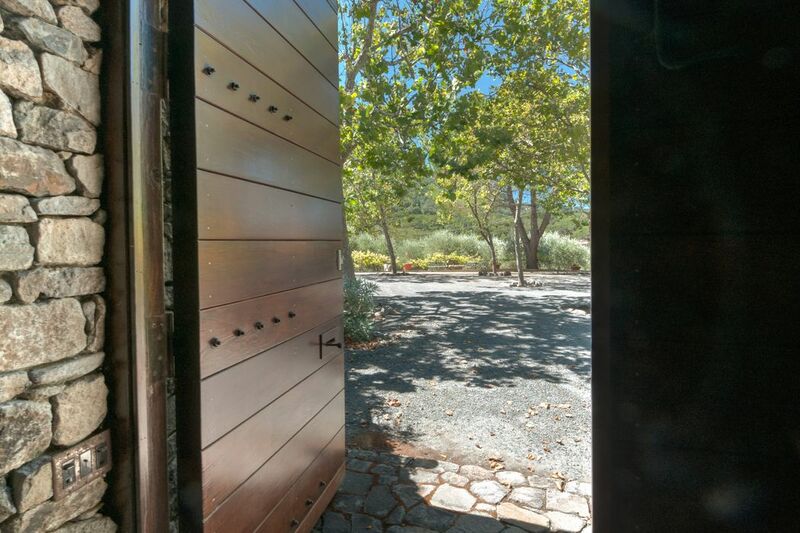 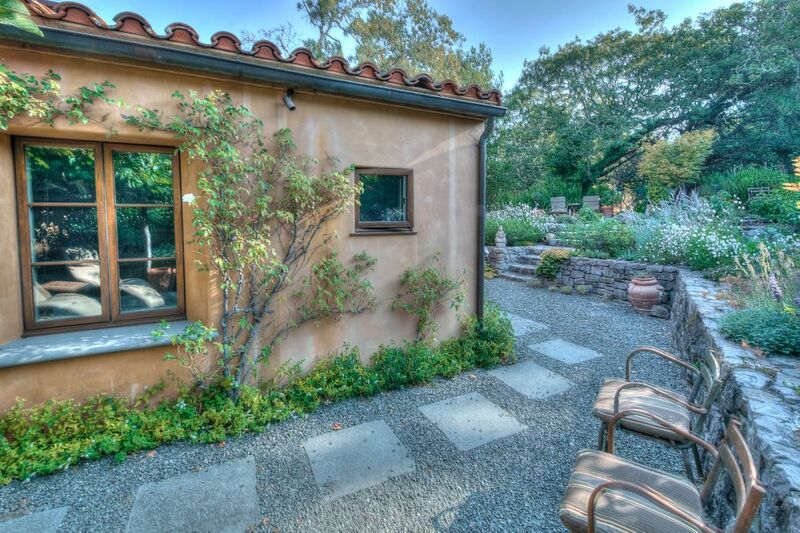 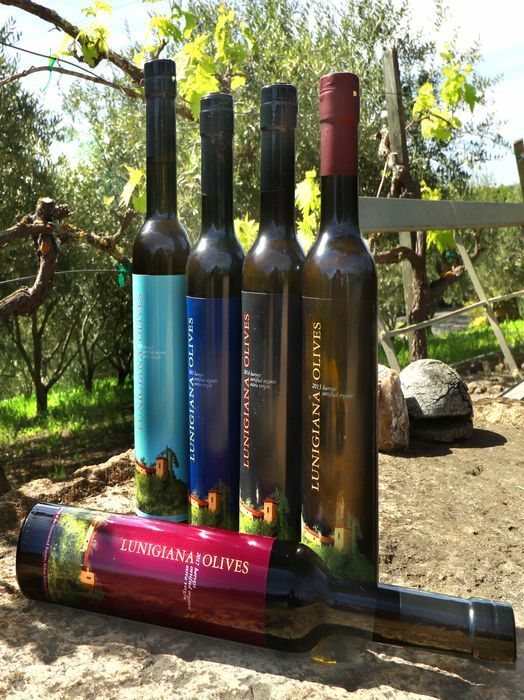 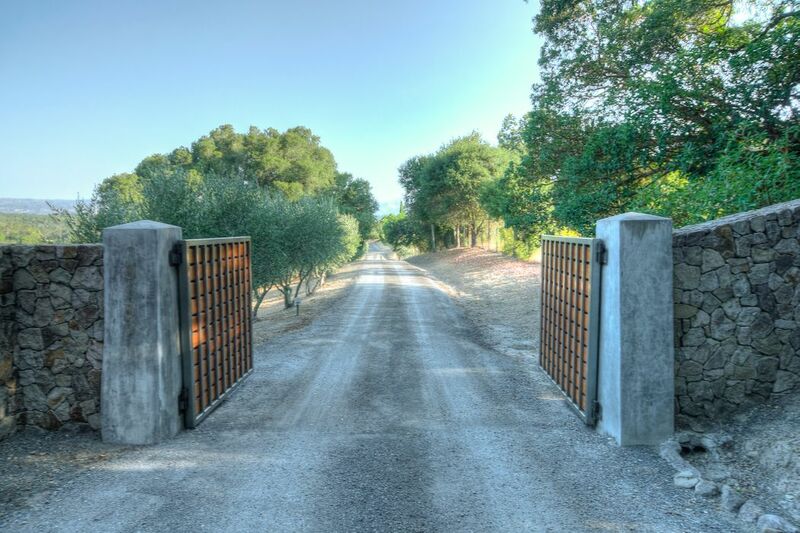 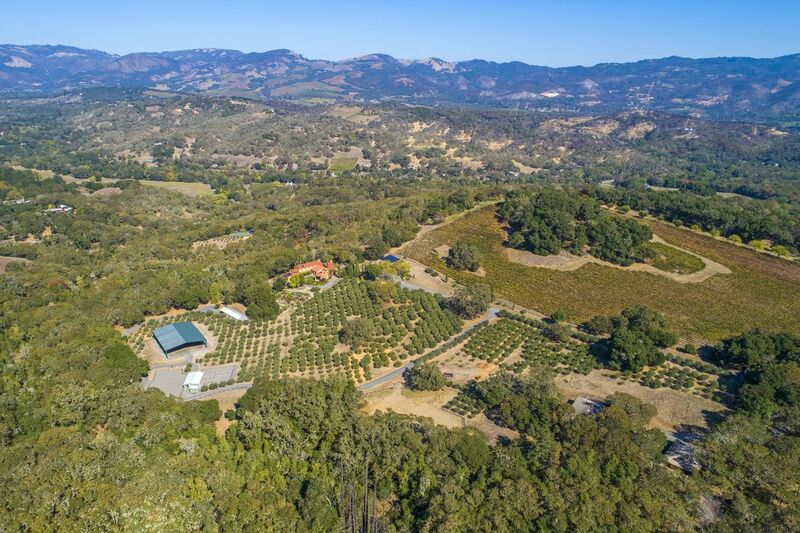 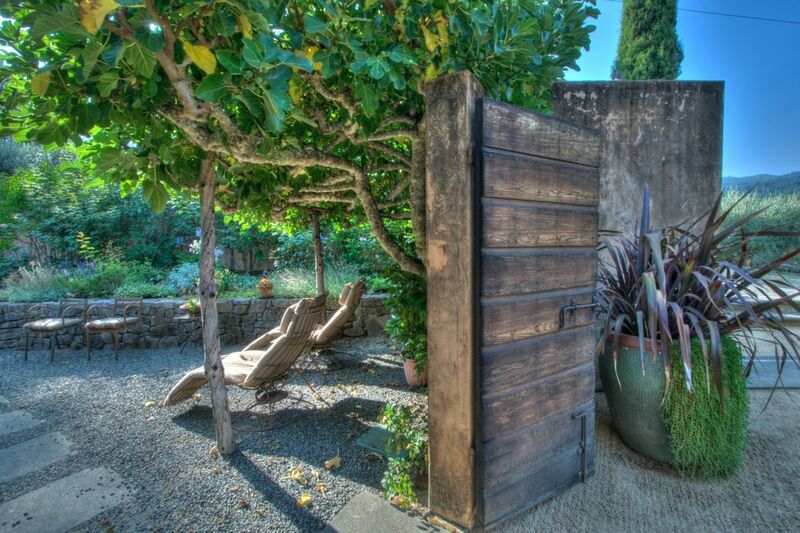 8189 Sonoma Mountain Rd, Glen Ellen, CA 95442 | Sotheby's International Realty, Inc.
Tuscany in Glen Ellen, this signature property is set on 15+/- gently sloped acres with over 900 olive trees producing award winning olive oil, yet only minutes to Historic Downtown Glen Ellen. 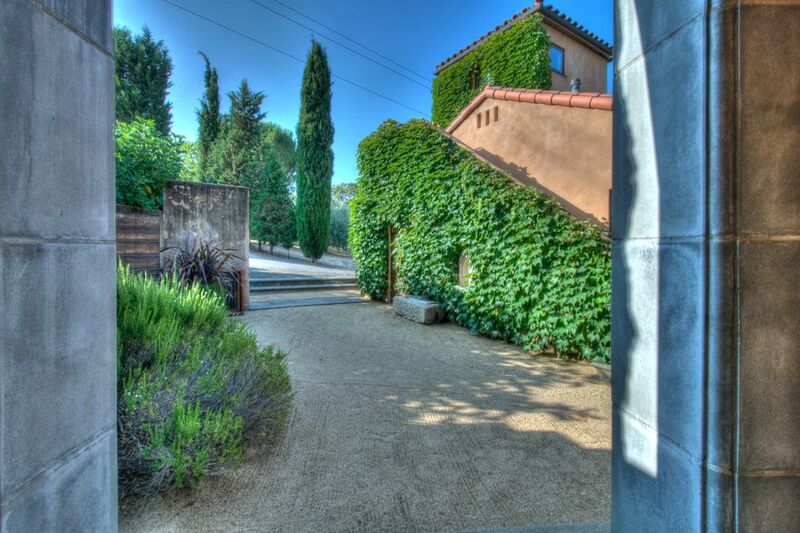 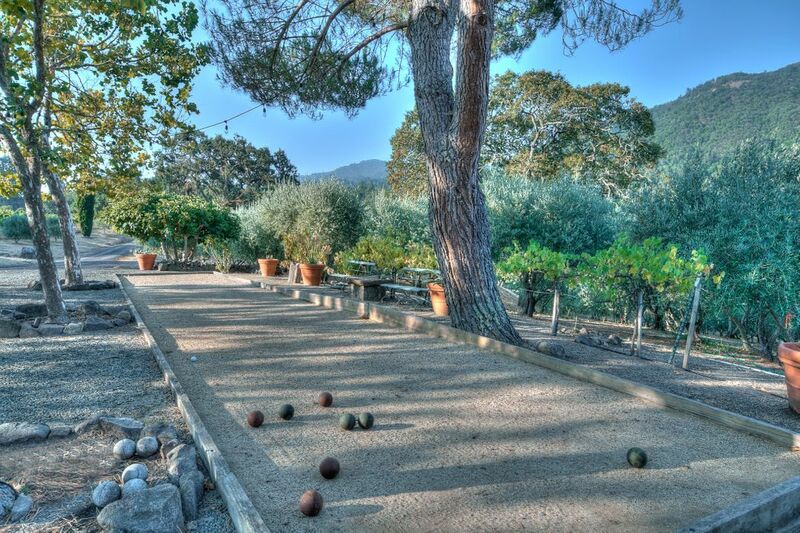 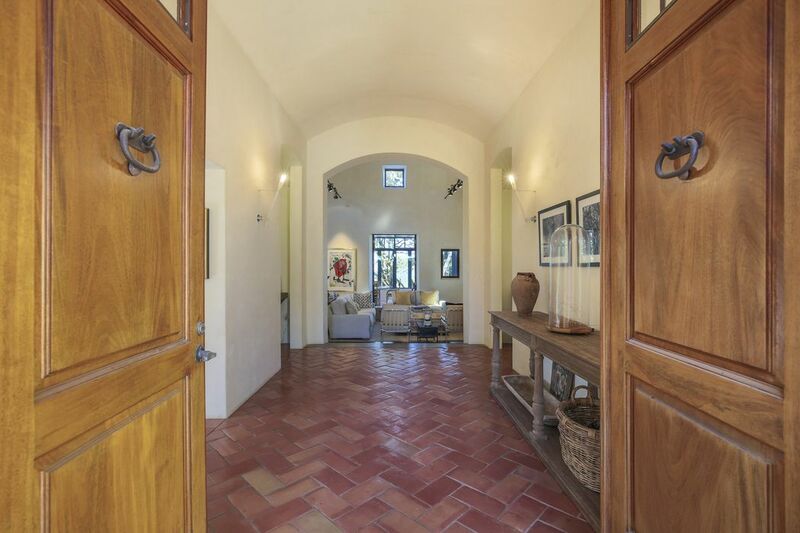 A grand entrance courtyard welcomes and is filled with mature trees, a wine cave and a bocce court with views of the mountains. 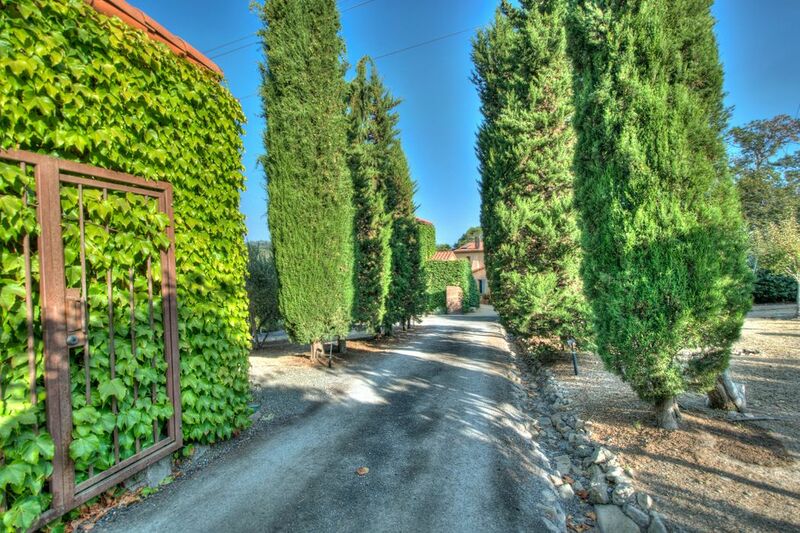 The broad entrance path leads past rows of Italian Cypress and through the handcrafted wooden front gates to the main house. 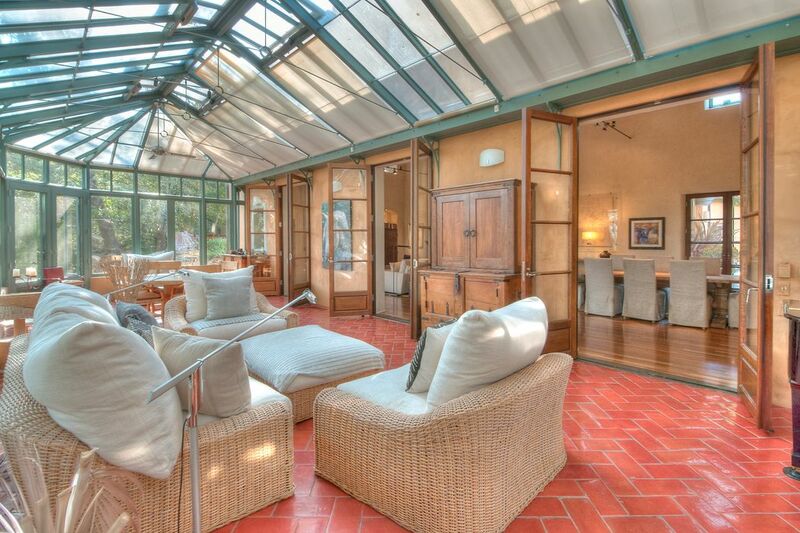 The entrance hall leads to a breathtaking great room area, a room filled with soaring ceilings, numerous high windows, and opening up through several French doors to a magnificent sunroom​ and conservatory which encompasses the full expanse of the room. 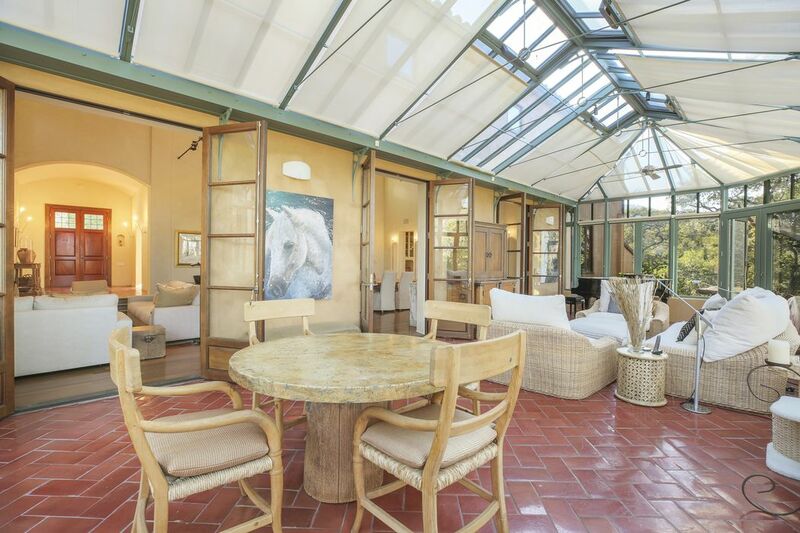 The living area is warmed by a wood burning fireplace, and the open space provides a large dining area with adjacent French doors leading to the pool and gardens. 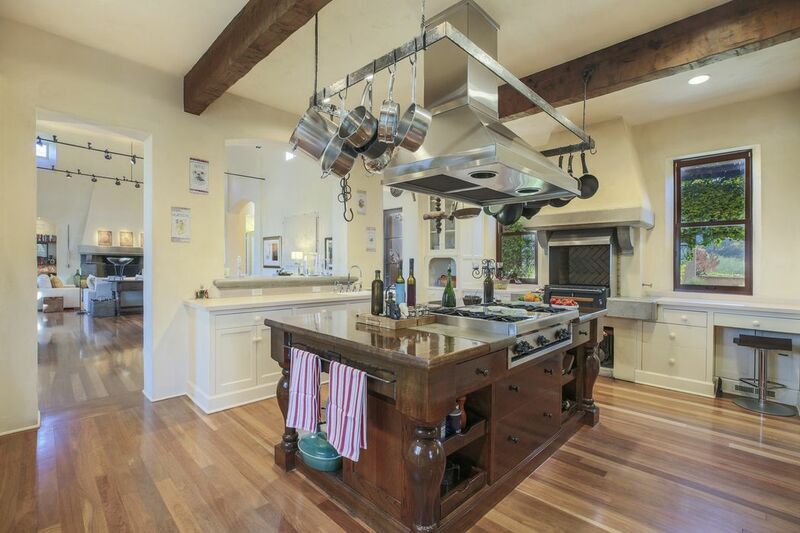 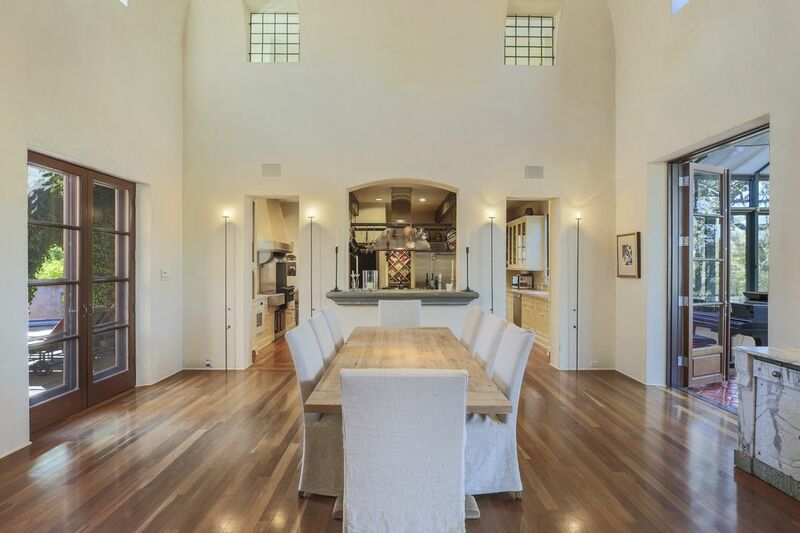 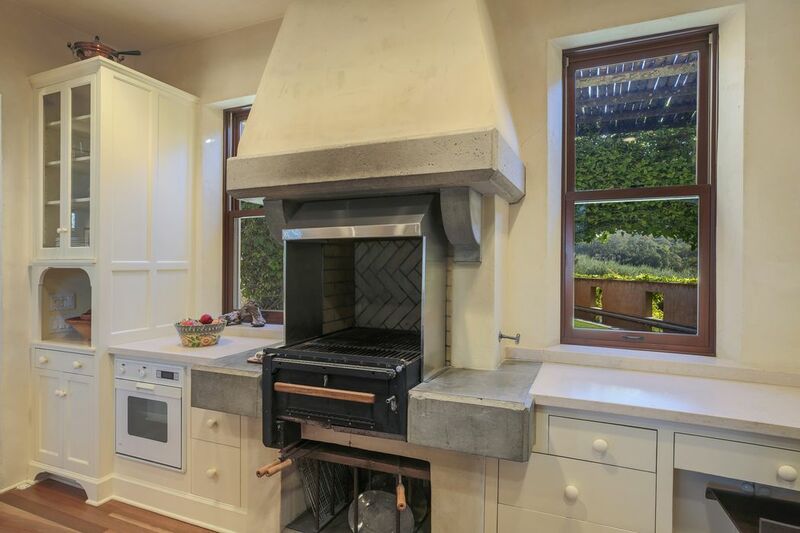 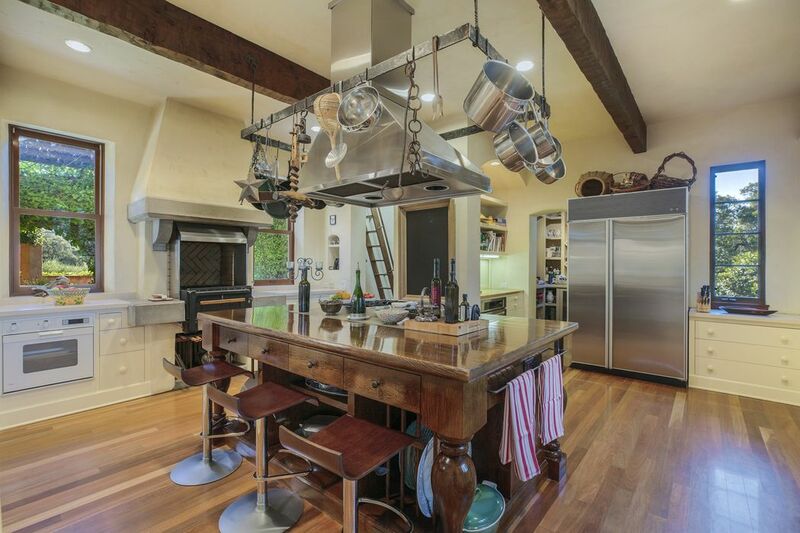 Double archways lead to the ultimate gourmet and entertainer’s kitchen, with a large center island with seating and built-in wood fired stove. 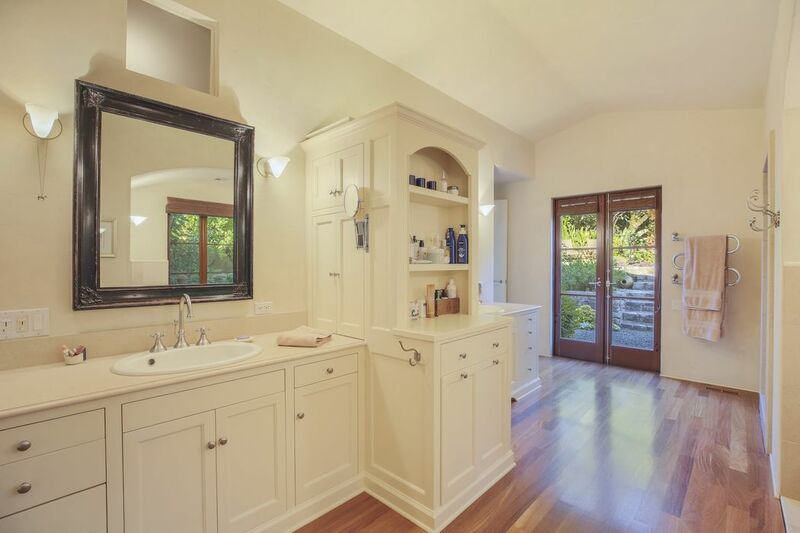 The kitchen, with impeccably designed custom cabinets,​ offers extensive storage and also includes a butler’s pantry and mud room. 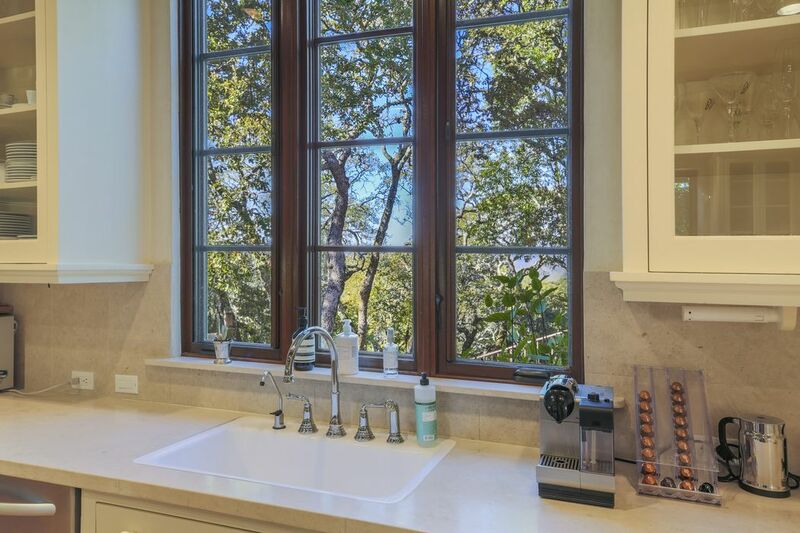 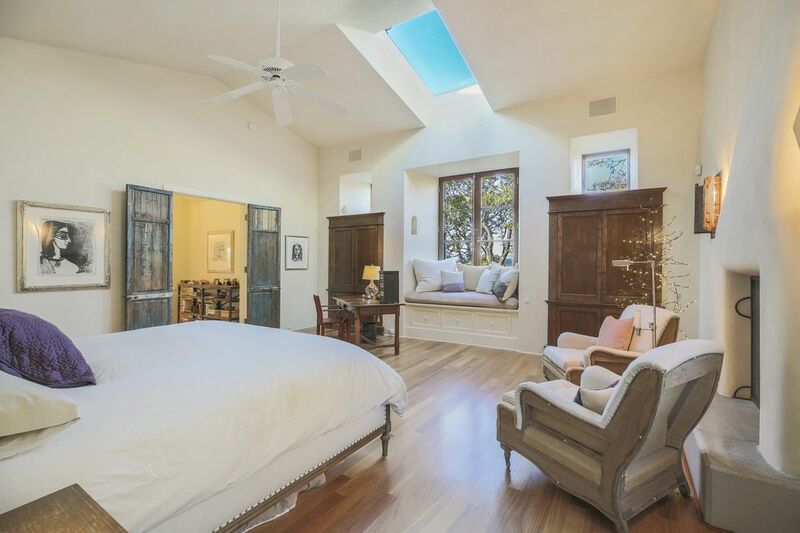 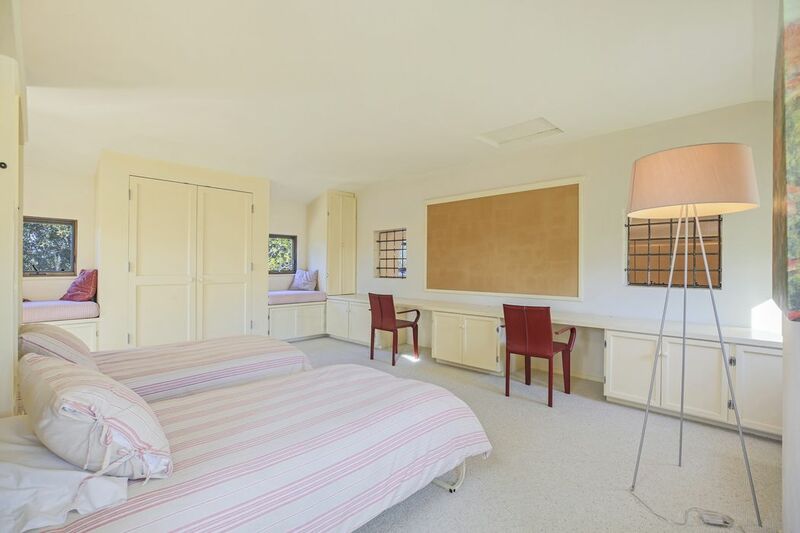 The master suite is privately situated and offers pristine views through multiple windows to the natural hillside setting. 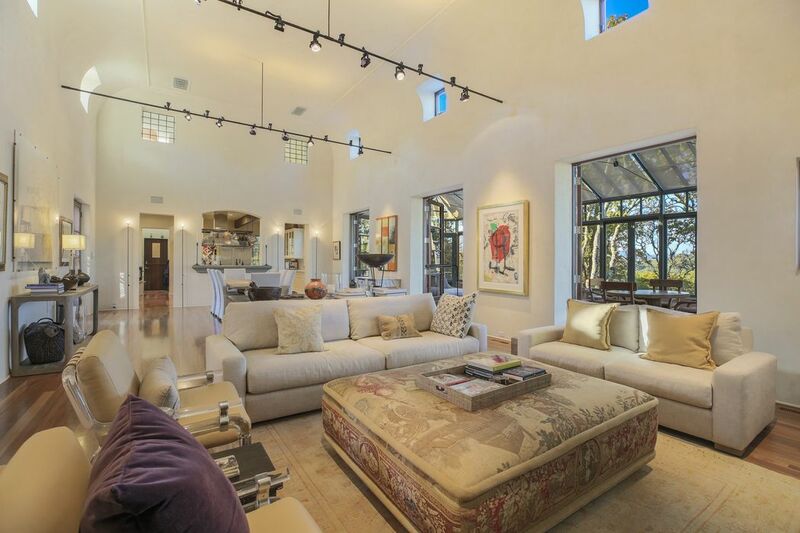 The room is large and includes a fireplace with seating area. 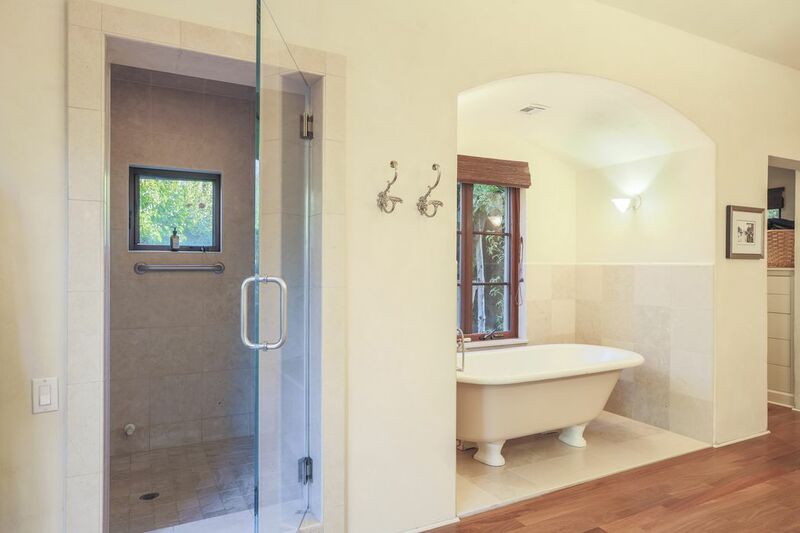 The master bathroom with large soaking tub adjoins and provides extensive closets and dressing areas. 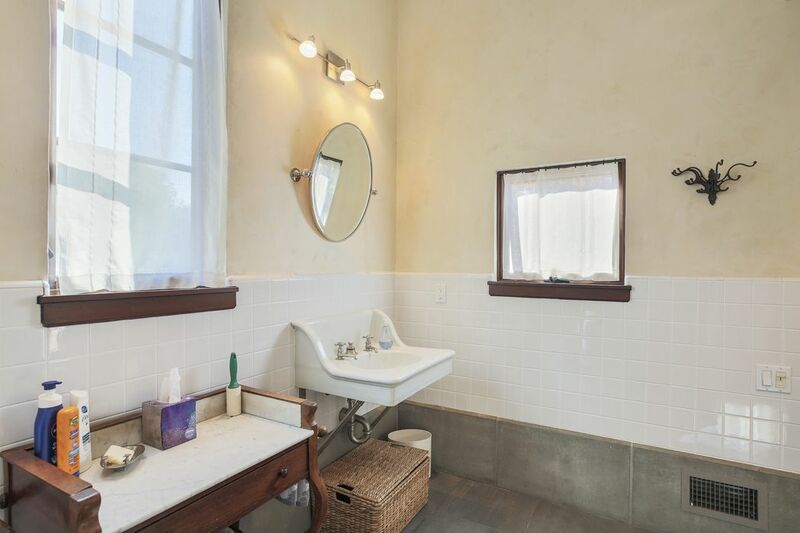 The bathroom opens to the exquisite terraced side garden. 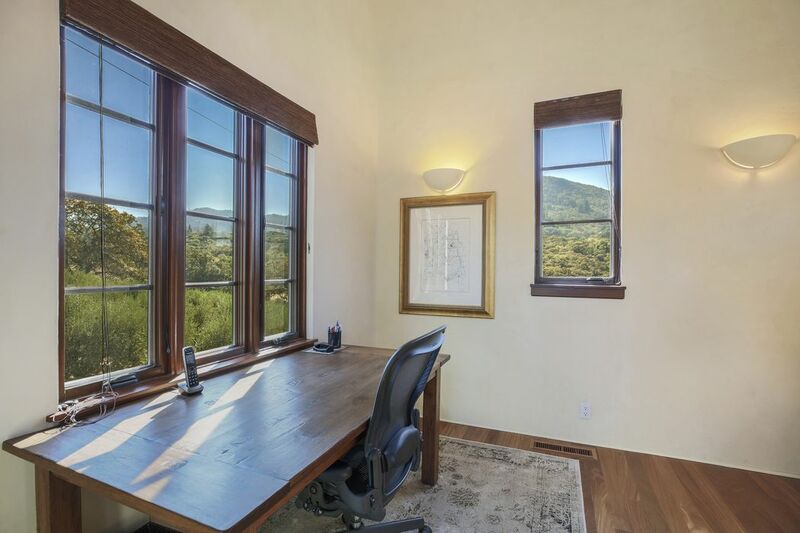 With a home office and an additional​ loft bedroom with bath, the home works perfectly for that weekend getaway or full-time​ retreat. 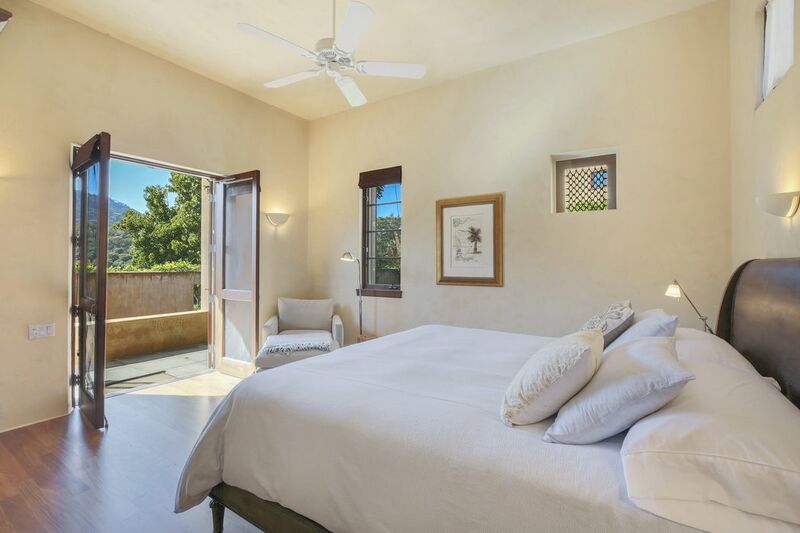 Elegant guest quarters sit alongside the pool, surrounded by lawns, gardens and a covered veranda for relaxing and outdoor dining. 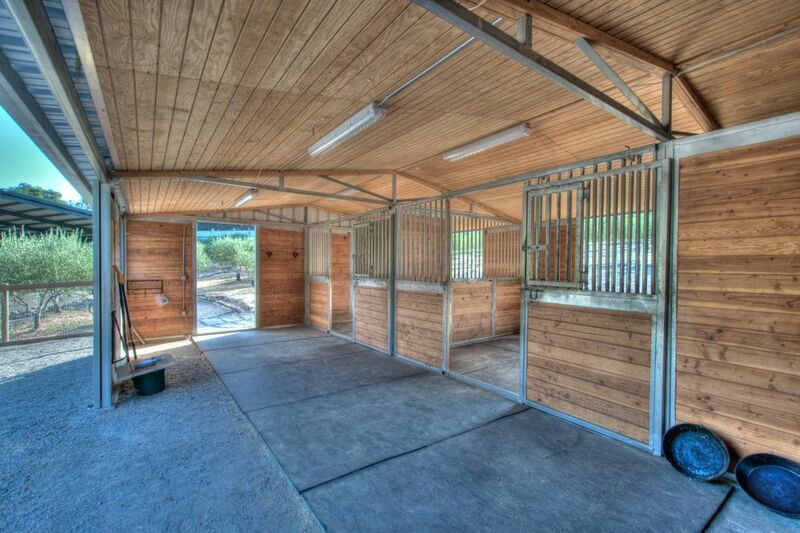 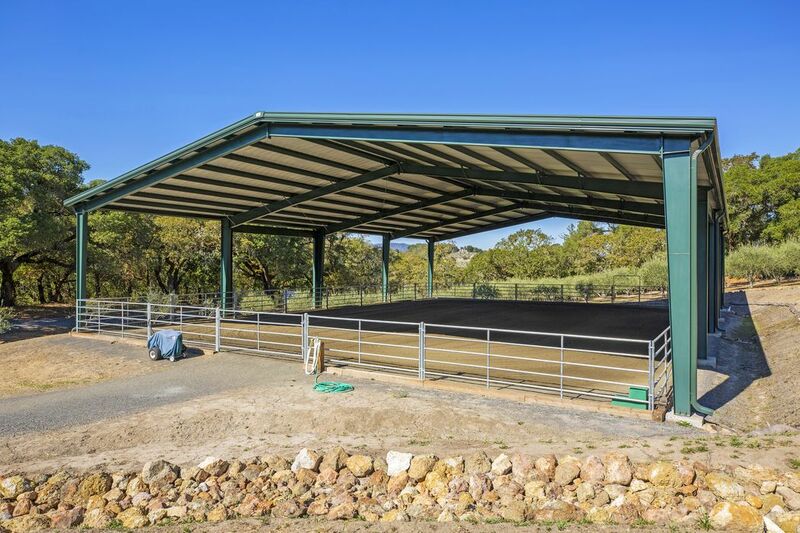 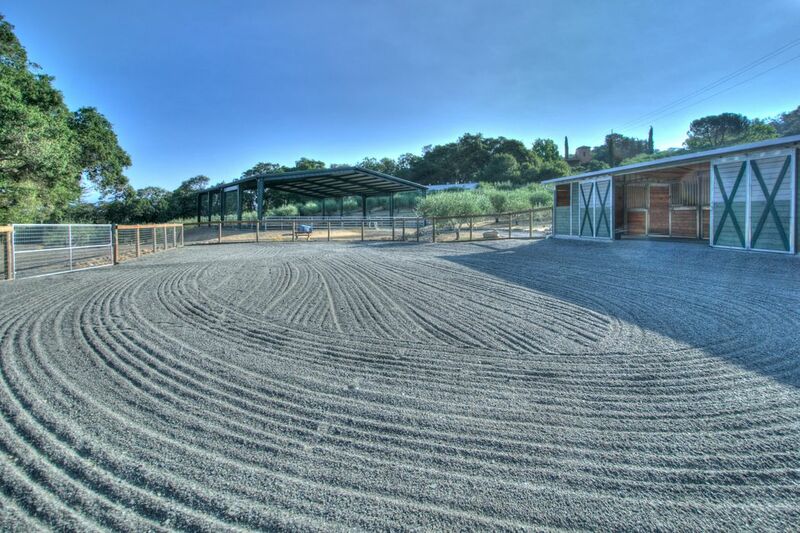 Pristine horse facilities include a ​covered arena, 2-stall barn, and riding area.